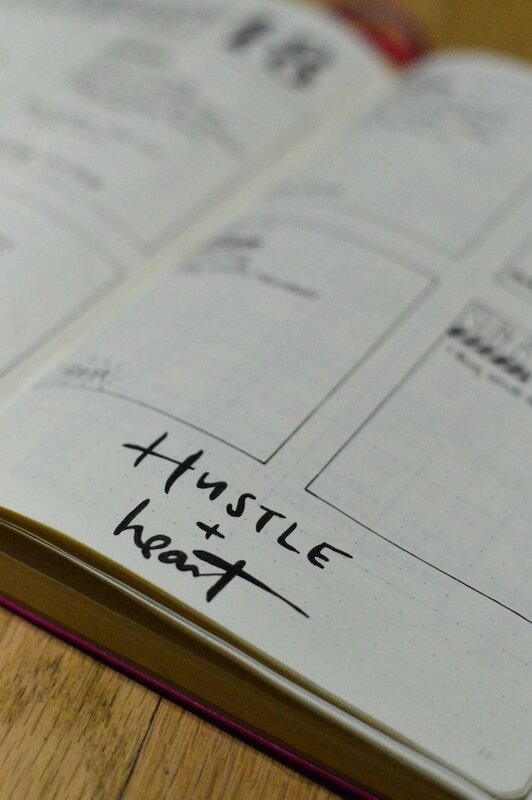 This single bullet journal hack will change the way you add creativity to your bullet journal. Get ready to have people ooh and aah over your designs. *This post may contain affiliate links. Please see my Disclosure for more info. Ok, that might be a bit of an exaggeration. This hack doesn’t involve multitudes of brains or hours of practice. I’m not about that life. 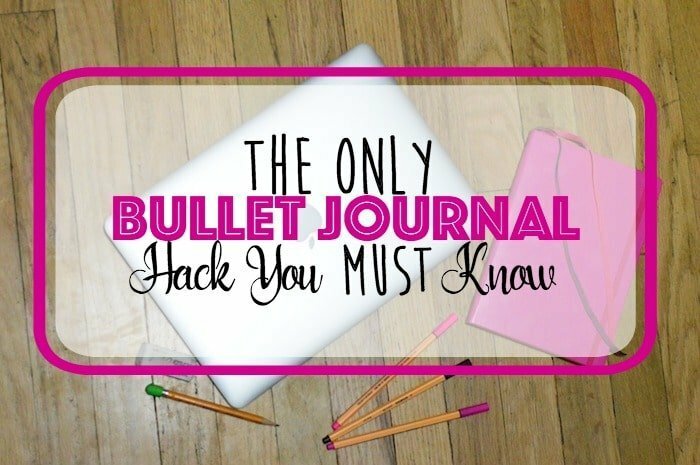 I’m a firm believer in old mantra, “work smarter, not harder.” And this bullet journal hack is exactly that. Typing it out makes it seem less valuable, but it’s not. 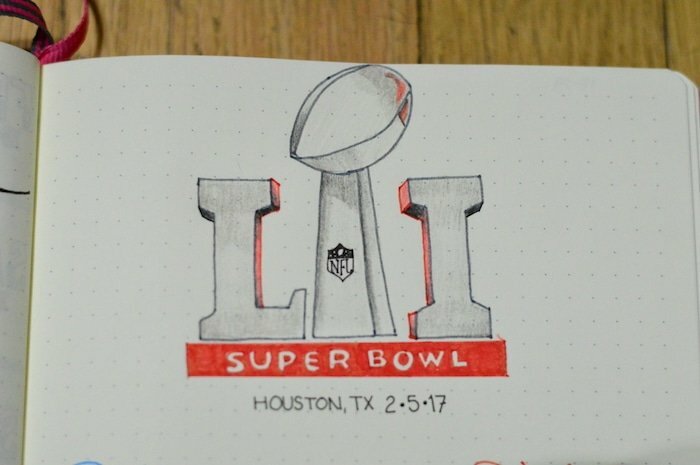 I’m telling you, tracing has changed my bujo life. I’ve spent hours on Pinterest, browsing pretty quotes and adorable doodles, often to be left disappointed by my own efforts. So, tracing is the big secret, and I’m going to teach you how to make it your greatest go-to. If you are able to read this, you can use this method. All you need is a screen, your bullet journal, a pencil and an eraser. Decide on what you’re tracing. I often do words in a pretty font or quotes I find on Pinterest. Then, pull up that image on your laptop, cell phone, or tablet and save it. On Windows, right click and Save Image As. On Mac, press Control and Save Image As. On a cell phone or tablet, hold your finger on the image and Save Image. From here, it get’s slightly tricky. Depending on where you want the word, doodle, or quote will depend on how you rotate the image (you don’t need to rotate if you are on a phone or tablet). 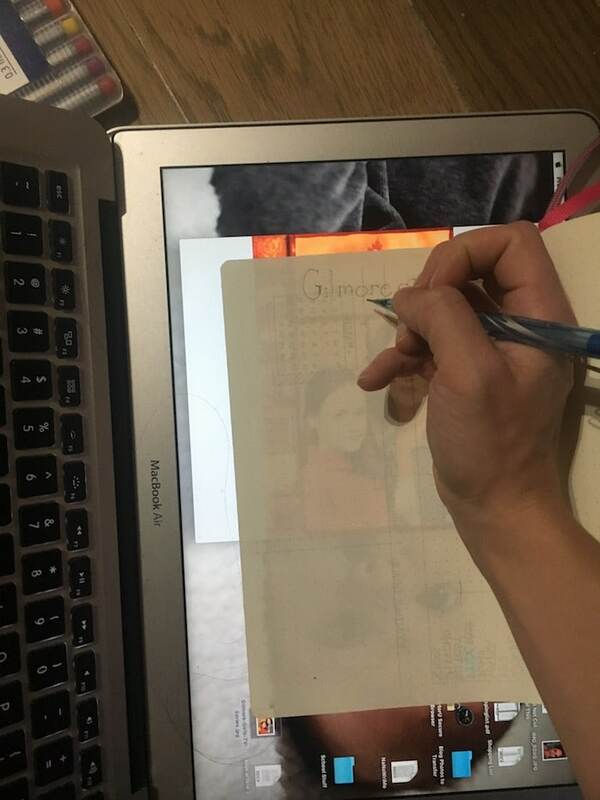 On a laptop, rotate the image so that when you lay your paper over the screen, the binding of the book is parallel to the top of the laptop screen. Next, adjust the size of the image to your liking–remember that it must fit in your journal. Simply move the image close to the upper corner of the screen. Tilt your laptop onto the backside of the screen (be careful, I’m not liable for any broken computers). 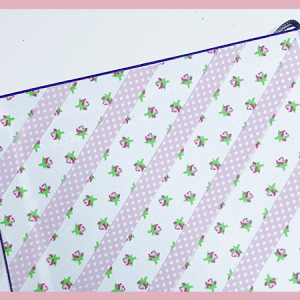 Then, open your journal and lay the desired page over the screen. The light from behind will shine through and you will be able to see the text or doodle you’re are wanting to trace. Grab your pencil, hold your paper still and flat and start tracing. This is more difficult on a phone because trying to hold the paper still on the screen make the screen move. You’ve been warned. Please note the final product from the Gilmore Girls Series Tracker below. 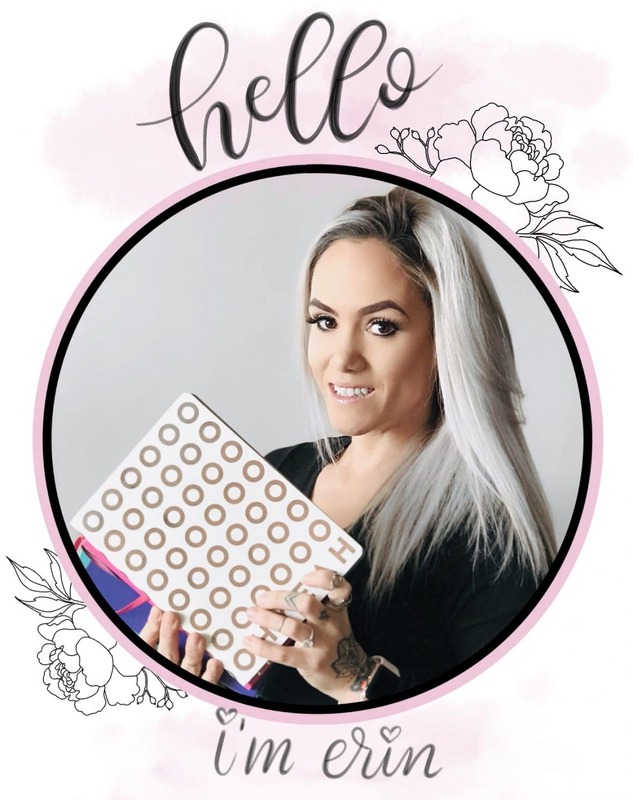 If you’re feeling intimidated by this bullet journal hack, you could pick up a cheap light box, print out the doodles or text you want to add and do it that way. No matter how you choose to do it, DO IT! 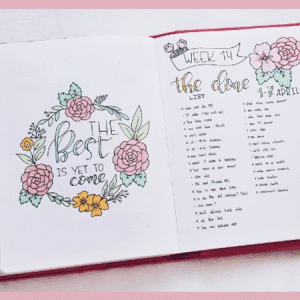 It really is a great way to add a beautiful and creative spark to your bullet journal without fear of messing up or getting disappointed. Thank you! Definitely give it a try. My bullet journal looks like it was completed by a professional hand lettering artist, aside from the actual writing in my weekly spreads. Lol! It’s made such a beautiful difference! What a fab idea…thank you. Yes, that’s why I don’t print it out. A light box is an option though if you prefer to print it out. 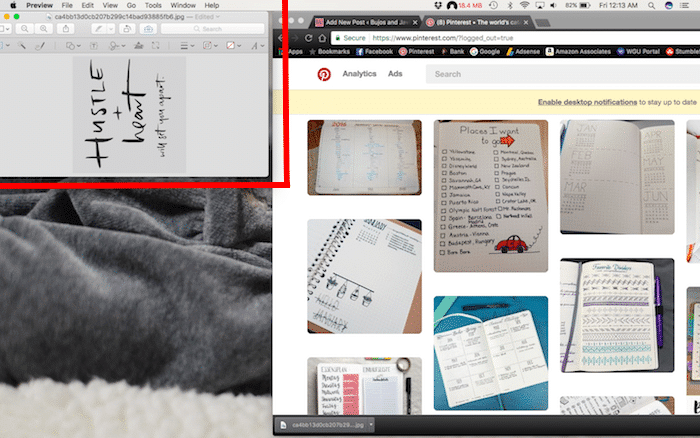 There are apps that work as a lightbox. 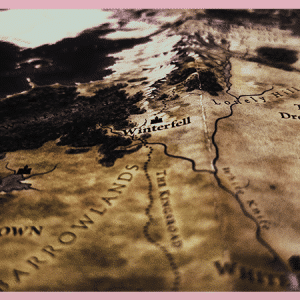 it increases the contrast of the image and locks the screen for you. Really?! On iPhone? I looked for one, but didn’t find one. Doesn’t mean it isn’t there though, haha. If you know the. Name of it, I would love to know ??? ?